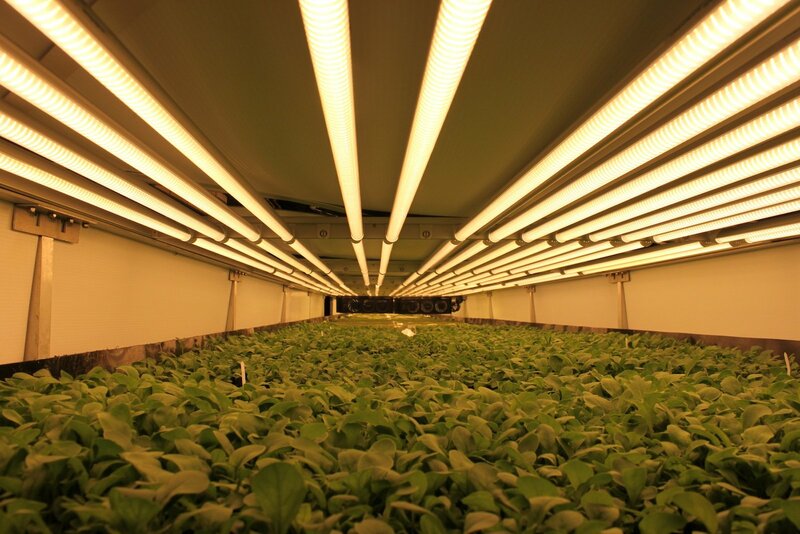 AeroFarms , a vertical farm in Newark, New Jersey, is nothing like that. 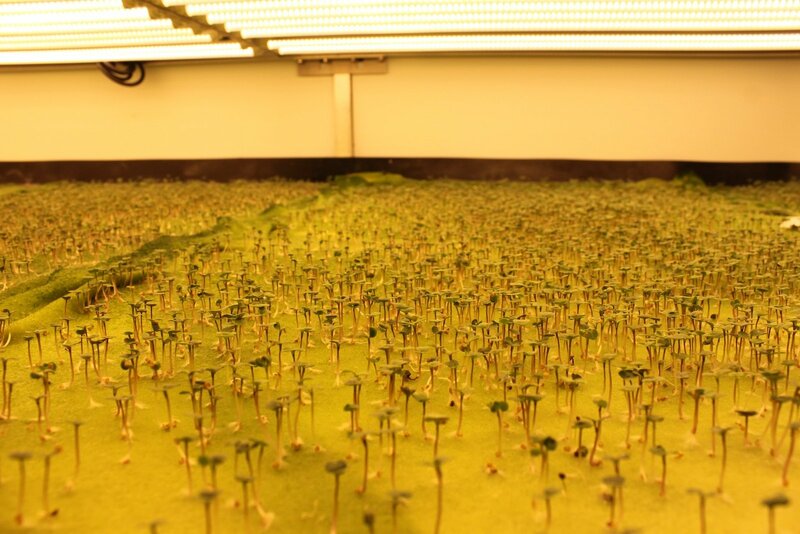 Instead of stretching down through the soil, plants are placed in trays stacked 30 feet high. The greens don’t thrive on sunlight, basking in LED lights instead. Fans spin continuously, and a sprinkle of fertilizer feeds the plants every few hours. Farmers wander around in coverall suits, rubber gloves, and hairnets. Vertical farms are increasingly sprouting up as an antidote to urban food deserts, or areas where it’s difficult to find fresh produce. 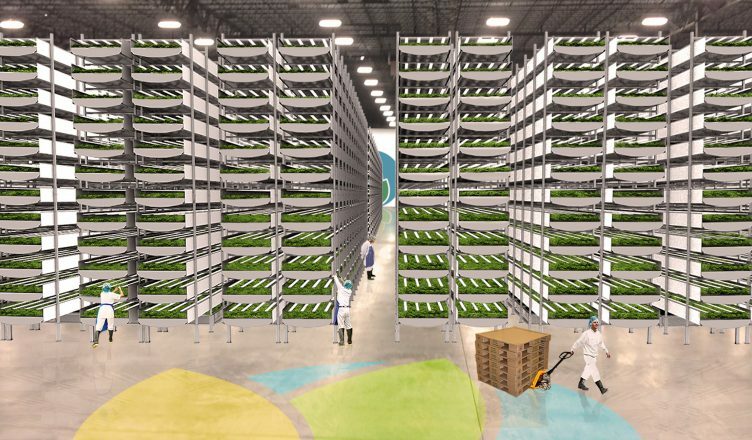 A company called FarmedHere, for example, is preparing to start construction on a 60,000-square-foot vertical farm in Louisville, Kentucky in August. Other farms take the model a step further by replacing farmers with robots, like Spread’s vertical lettuce farm opening in Japan in 2017 . The stakes for AeroFarms are high, with investors like Goldman Sachs and Prudential Financial backing the company to the tune of $39 million . A number of promising recent vertical farm operations have already failed. In 2015, Google’s Alphabet X tried to create an automated vertical farm , but the company later abandoned the project because it couldn’t figure out how to grow staple crops (like grains) using vertical farming techniques. VertiCrop, North America’s first vertical farm, was founded in 2011 and declared bankruptcy after only three years. When it comes to providing nutritious crops to the world, greens only take you so far. 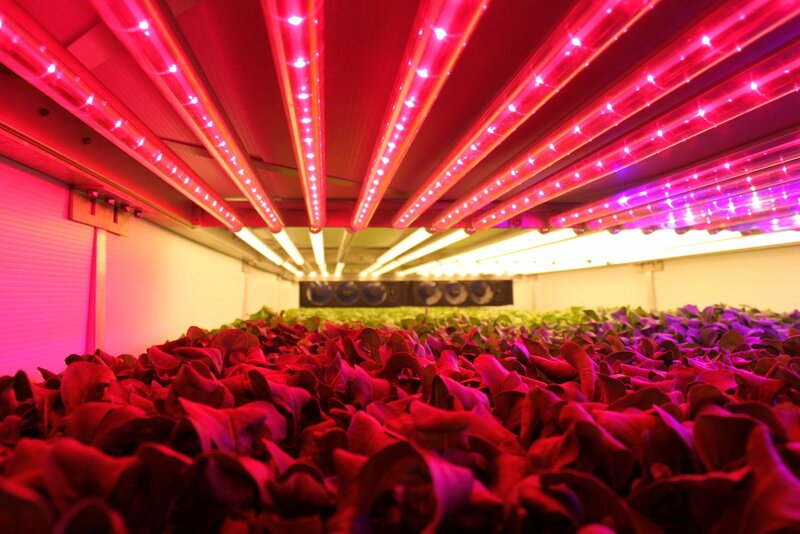 Critics of vertical farming worry about how much energy the technique wastes, since LEDs need to shine 24-7 to produce a high volume of plants. 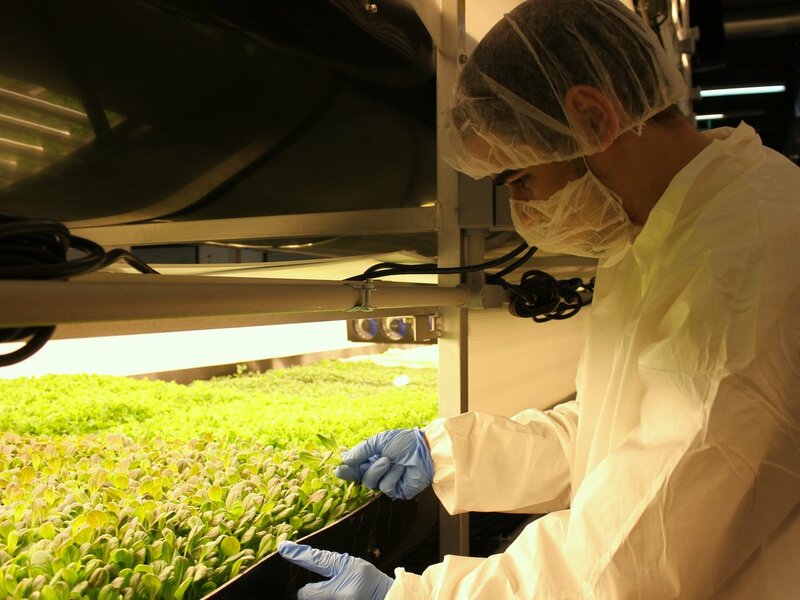 According to some research, vertical farms like AeroFarms can generate 10 times the carbon footprint of traditional vegetable farms, according to Louis Albright , the director of Cornell University’s Controlled Environment Agriculture program. Still, some vertical farms initiatives have found success, both in the US and abroad. MIT’s Media Lab recently launched an open source farm, called City Farm , with hopes that its growing algorithms will be used by vertical farmers elsewhere. Japan’s Mirai (which translates to “future”) operates in 12 locations around the country, including a 25,000-square-foot farm that can harvest 10,000 lettuce heads a day.